In the Tom Clancy novel-turned-movie Patriot Games, Professor Jack Ryan (played by Harrison Ford) kills a terrorist in the act of preventing an attack. The terrorist’s brother and his organization spend the entire movie seeking revenge against Ryan, his family and friends. 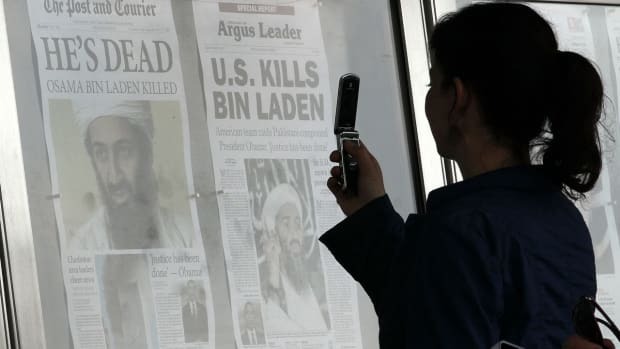 Academics writing before bin Laden’s death on May Day vary in their conclusions about the fallout from decapitating terrorist organizations, as Miller-McCune’s Tom Jacobs reports. Now that Osama bin Laden is dead, will America experience what Ryan did in that film? Have we unleashed an even greater threat? Or will al-Qaeda be weakened as a result of having their founder and spiritual leader killed by American forces? To assess this, my students and I looked at three cases where a famous terrorist or terrorists were killed. Did the deaths of these terrorists make the situation worse? Or did their deaths reduce the violence? There are some famous cases of terrorists being killed or captured, such as “Carlos the Jackal” (Ilich Ramirez Sanchez) and Abu Nidal. But they were neutralized long after their wave of terrorism, and long after any organizations they may have been affiliated with had been dispersed. Three cases provide a better test. These include the Baader-Meinhof Gang in Germany in the 1970s and 1980s, the case of “The Engineer” (Yahya Ayyash) in the Israeli-Palestinian conflict of the 1990s, and the events surrounding Abu Musab al-Zarqawi and his organization in Iraq earlier this decade. Germany’s “Bonnie and Clyde,” Andreas Baader and Ulrike Meinhof, along with Baader’s girlfriend Gudrun Ensslin, Jan-Carl Raspe, Holger Meins, and others engaged in bank robbing and bombing until they were caught by the German authorities. A wave of killings and kidnappings by Red Army Faction (RAF) sympathizers followed, in an attempt to win the release of their comrades in prison. But these efforts came up short, thwarted by the German government. In other cases, hostage-for-prisoner swaps were turned down. One by one, members of the gang committed suicide in jail while the terrorist allies killed their captives. The fall of the Berlin Wall and diminished sympathy for the RAF led to its demise. The final members were killed or captured in a gun battle in 1999. Another good analogy for the bin Laden case comes from the notorious Hamas bomber Yahya Ayyash. Adopting the nom de guerre “The Engineer,” Ayyash put his experience as an engineering student to work in the Israeli-Palestinian conflict, using a cell phone as a remote trigger for his nine bombings between April 1994 and August 1995. His 16-month terror wave killed 70 Israelis, and “The Engineer” achieved a Jesse James-like cult following from Palestinians for his ability to elude capture. The assassination of Ayyash is part fact and part legend. 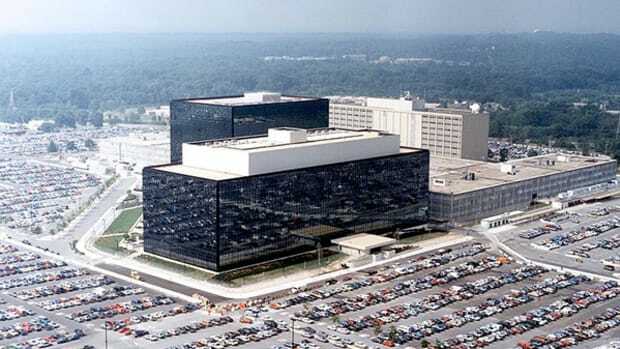 The Israeli counterintelligence agency known as Shin Bet coerced the relative of one of Ayyash’s friends to supply “The Engineer” with a cell phone, for tracking purposes, in January of 1996. As the story goes, Ayyash then received a phone call, where the leader of Shin Bet reportedly identified himself, then said goodbye a split-second before the cell phone exploded. Initially, The New York Times claimed that “The Engineer’s” killing would be counterproductive in three ways: It would unite the competing factions of Hamas and Fatah, disrupt the fragile Oslo peace accords and lead to an increase in deadly reprisals. Clearly, Hamas’ terrorism was hampered, not helped, by his death. Al-Zarqawi, the name of the Jordanian-born terrorist who formed al-Qaeda in Iraq, had a long history of terrorism before the Iraq insurgency even began. He struck fear into Iraqis and coalition forces, military and civilian alike with his large-scale bombings and videotaped beheading of hostages. Some felt he would even rival bin Laden’s popularity among disaffected Muslims. But al-Zarqawi’s penchant for indiscriminate violence caught up to him. Iraqis disgusted with his tactics and willingness to accept massive collateral damage may well have provided the key tip that led the United States forces to him. However such intelligence was discovered, al-Zarqawi and several allies died in 2006 when a pair of American F-16s bombed his safe house. She also quoted Saddam al-Boud, president of the National Front for Iraqi People, who told Al Jazeera, ‘The death of al-Zarqawi will not mark any decrease in the resistance operation. The resistance will continue and become stronger, but the perpetrators will be fought until Iraq is liberated.” The article went on to claim that there would be an additional wave of hundreds of millions of al-Zarqawis. Did killing al-Zarqawi increase the threat? In the short-term, yes. The New York Times’ Scott Shane reported on May 1, 2007 that terrorist attacks increased by 91 percent between 2005 and 2006. Allied coalition deaths, mostly in the U.S. military, rose from 897 in 2005 and 872 in 2006, to 961 in 2007. Statistics gathered by the group Iraq Body Count show that 2006-07 was the high-water mark for civilian casualties from suicide attacks, vehicle bombs, gunfire and executions. But in the long-term, al-Zarqawi’s death did not increase deaths. The number of military and civilian deaths fell after a year. The group icasualties.org, relying on U.S. Defense Department data, found the number of Coalition military deaths dropped from 2007’s high to 322 in 2008, 150 in 2009 and 60 in 2010. While that 2007 spike also includes the “surge” of additional American troops into Iraq, Iraq Body Count reported a similar trajectory in the number of daily deaths from suicide attacks and vehicle bombs. Daily averages were 16 in 2006, 21 in 2007, 10 in 2008, 8.3 in 2009, and 7.3 in 2010. Daily deaths from shootings fell from 57 in 2006 to 41 in 2007, 14 in 2008, 4.2 in 2009 and 3.9 in 2010. Each of the three cases demonstrates that while attacks and deaths increase by the terrorist leader’s successors and allies, this spike is short-lived. Over the long term, this violence declines significantly, providing some reason for future optimism. Already, the media has speculated that the violence is sure to increase as jihadists plan their retribution. Anti-terrorist plans need to be implemented sooner, and more rigorously. But the long-term payoff suggests that such measures are worth it. We may not experience the happy ending of “Patriot Games,” but the world can be a little safer if terror leaders can be neutralized.